Personalization at Point of Sale. Kmart Australia Goes Labels with Afinia. 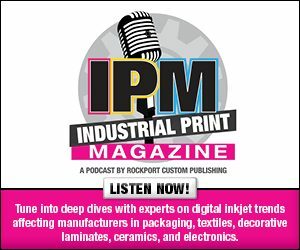 The first two parts of this series took us to Turkey and the U.S. Now we travel to Australia to see how big box retailer Kmart utilized digital label printing technologies. In a recent holiday campaign, Kmart Australia personalized Vegemite and Nutella jars at point of sale. To achieve this, it purchased Afinia Label L301 Industrial Color Label Printers from Rawson Print Co. The printers were deployed across 214 stores. Addressing the rise in online shopping, Kmart Australia hoped that this promotion would generate foot traffic in its brick and mortar stores. The unique experience took place during the 2017 Christmas season. Marketed to Christmas shoppers, store guests selected jars of Vegemite or Nutella for personalization. In-store service representatives printed and labeled the jars on the spot. The Afinia Label L301 printer was the right device for the job. Powered by HP thermal inkjet technology, it offers prints at 4,800×1,200 optimized dpi on a maximum label size of six inches in width by 8.5 inches in height and up to 0.33 millimeters thick. The device offers print speeds of 1.8 inches per second when printing a 2.2-inch wide image in normal mode. “Afinia Label’s printers offer the professional capability and small, desktop-sized footprint necessary for these types of in-store personalization campaigns. Now, smaller and larger brands alike are able to capitalize on this trend of custom packaging and bring it to new heights through this more personal, single-purchase approach,” says Nathan Daniel, EMEA sales manager, Afinia Label. The promotion was a success, resulting in planned expansion of personalization cross additional brands in the future. Labels are found on any number of items and serve multiple uses. Digital printing capabilities are poised to revolutionize markets where labels are required thanks to its quality, variability, and cost effectiveness. The three spotlights in this series are just some of many businesses who have already begun to participate in digital label printing. Click here to read part one of this exclusive online series, Go Along for the Ride.